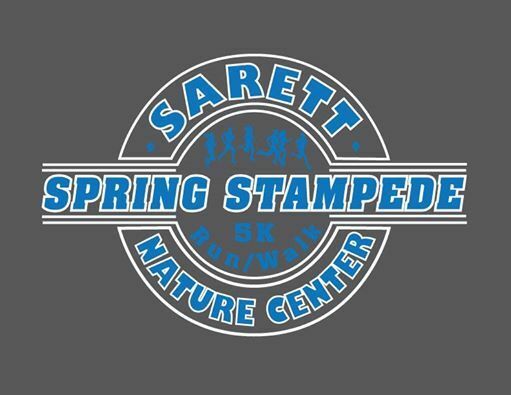 This unique 5K run and walk will take advantage of Sarett's nature trails. 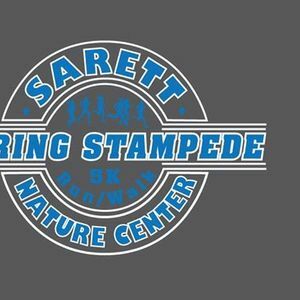 The funds raised from this event will help Sarett Nature Center continue to provide environmental education programs for over 25,000 school children each year. The entry fee is $20 before March 22nd, 2019 and $25 after March 22nd, 2019. Your entry must be received on or before March 22nd to guarantee your race t-shirt. At 8:30 am, the kids’ 1-mile fun run will start. $1 is the entry fee for the fun run and all participants will receive a finisher’s ribbon. You can drop off your entry form at Sarett or mail it to: Mike Mahler at Sarett Nature Center, 2300 Benton Center Rd., Benton Harbor, MI 49022. You can also register on-line at www.sarett.com. Race day registration and packet pick-up will start at 7:30 a.m. The run and walk will start at 9:00 a.m. Medals will be given to the top three finishers in each age group. Special awards will be given to the overall male and female finishers in the run and walk. Members of Sarett Nature Center and the SWMI RACERS receive a $3 discount. The Spring Stampede is a part of the SWMI RACERS Community Race Series.